On September 30, 2017, Charles was on his way to the airport. 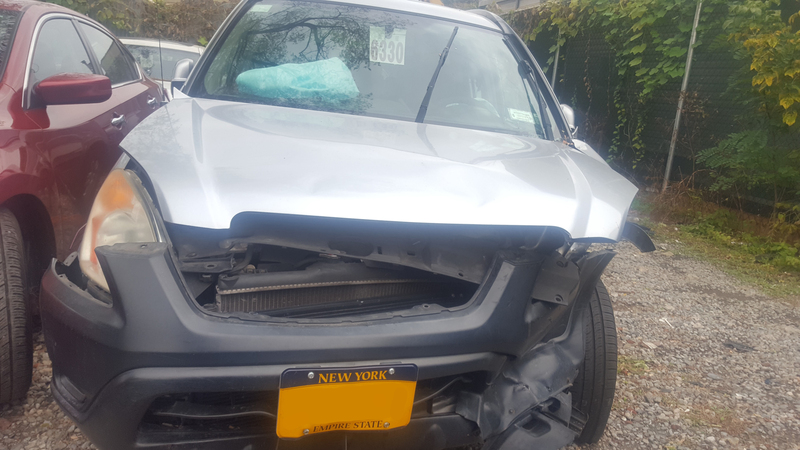 While driving near 3717 Boston Road in Bronx, NY, another car hit the front driver’s side of Charles’ car. His airbags deployed and the glass on the driver’s side door completely shattered. When the police arrived, the other driver was arrested for DWI with a PBT result of .115% BAC (a driver violates the law at .08% BAC and above). Charles was taken by ambulance to Jacobi Hospital. Due to the possibility of an intracranial hemorrhage (bleeding inside the skull), Charles was kept overnight in the hospital. He was discharged home the following day after medical professionals determined that he was in the clear to go home. Due to the incident, Charles suffered injuries to his head, neck, back, left hip, and left shoulder (superior labral tear). A neurologist and neurosurgeon reviewed his MRI and determined that Charles did in fact suffer an intracranial hemorrhage, but thankfully the bleeding stopped. For months, Charles went to therapy and was recommended to continue with pain medication as needed for pain control. When his left shoulder failed to respond to minimally invasive and conservative procedures (including a corticosteroid injection), he underwent surgery to his left shoulder. Thanks to someone’s recommendation, Charles called The Case Handler team at Pollack, Pollack, Isaac & DeCicco, LLP! 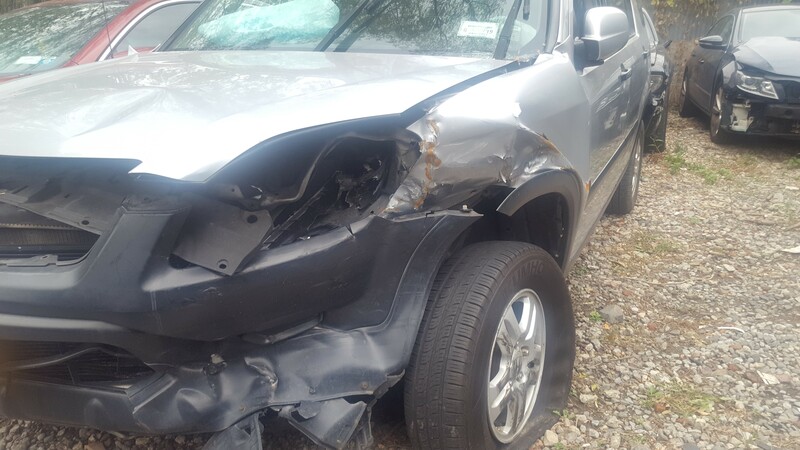 Charles was involved in a previous accident in 2010, which can make it difficult to prove that his injuries are associated with the most recent accident (and not the past one). 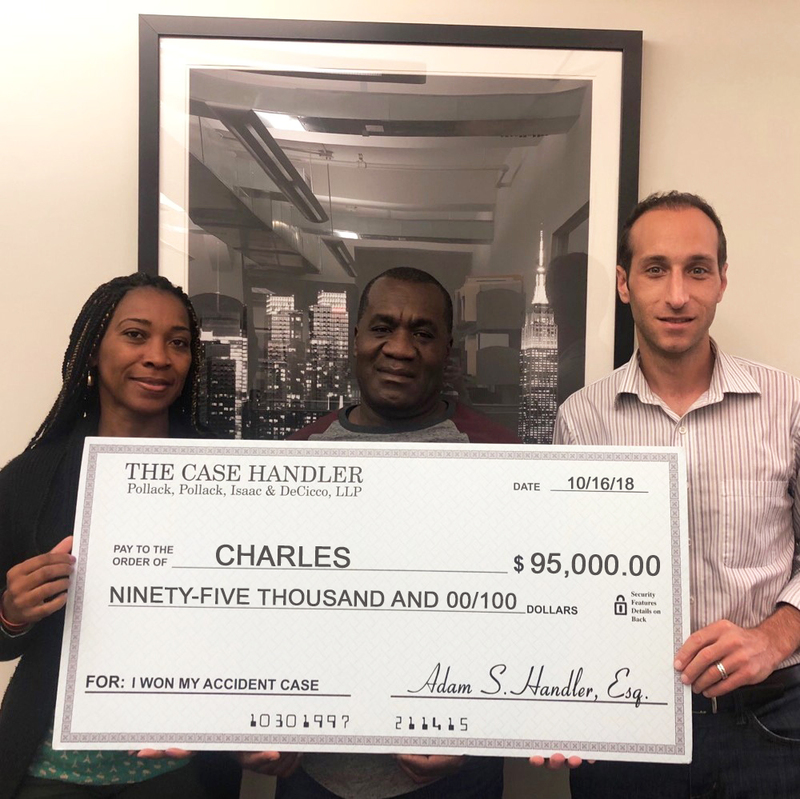 Nevertheless, our diligent personal injury attorneys at PPID helped Charles receive the full amount of no-fault insurance coverage ($50,000.00) to help pay his medical bills and recover $95,000.00 in total compensation!